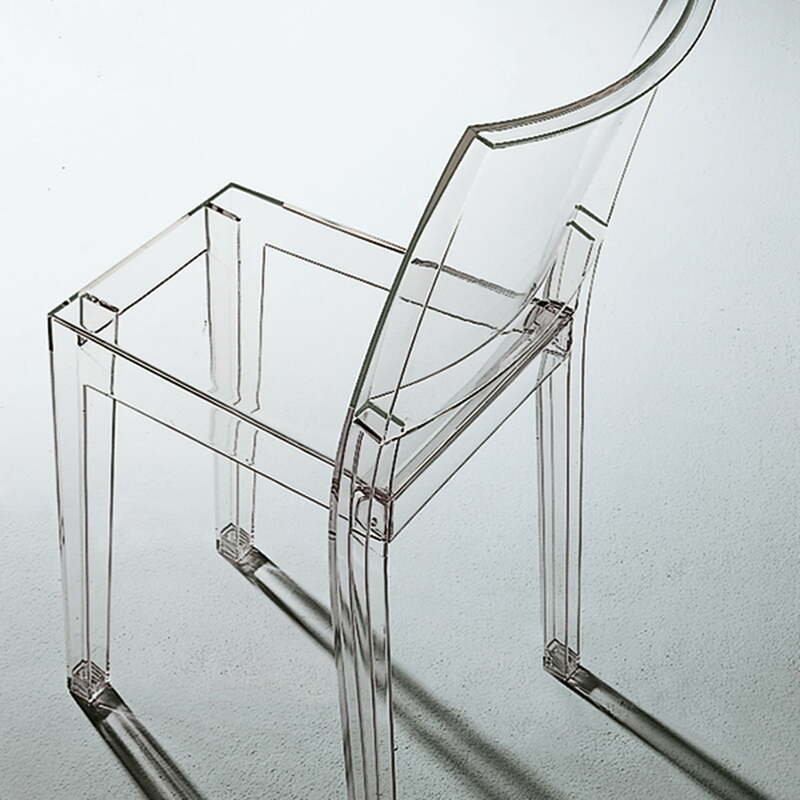 Philippe Starck designed the first completely transparent chair of the world. The result is embossed by bribing clearness, weightlessness and transparency. The Kartell La Marie chair has been designed with Starck’s credo of creating a reduced and with it uniform design that would consequently not age. The cast out of one only piece of polycarbonate emphasizes this clearness. The chair acts factually and still not too seriously, playful but not cheap. 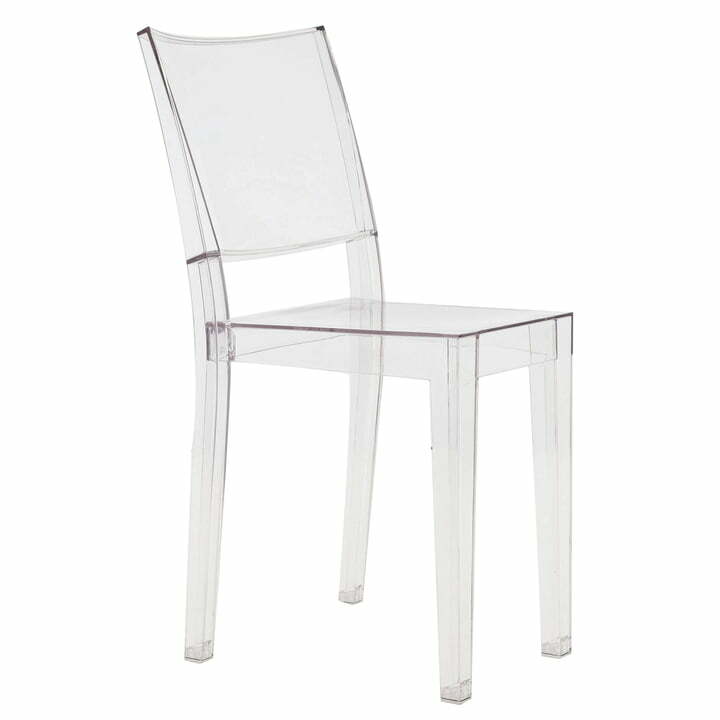 Thanks to the scratch- and shock-resistant material, the La Marie chair is adapted to be used inside and outside. Up to seven chairs can be stacked, to store them space saving. 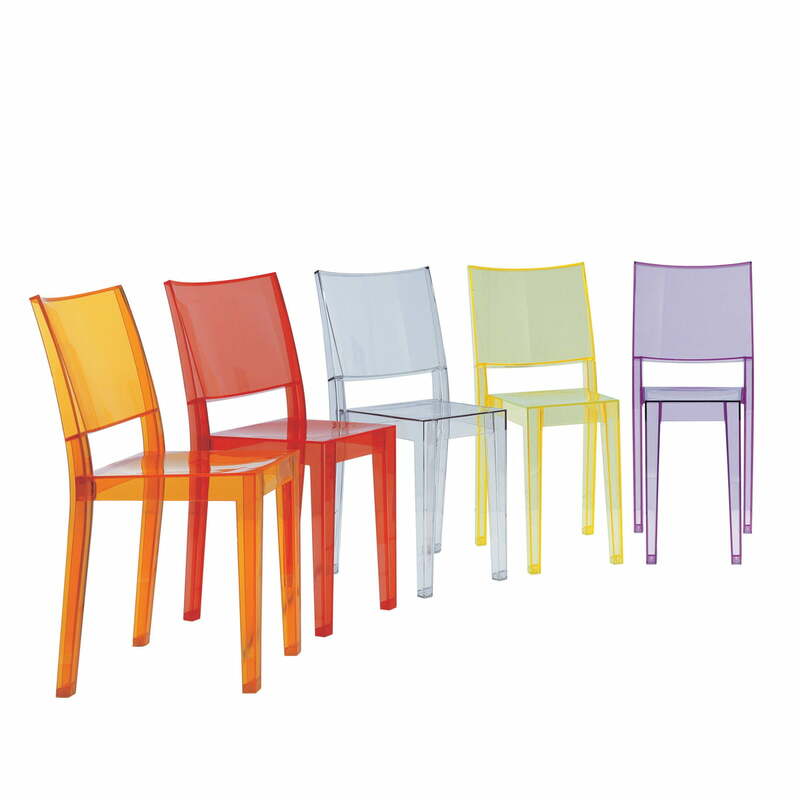 The La Marie chair by Kartell is available in different colour combinations.